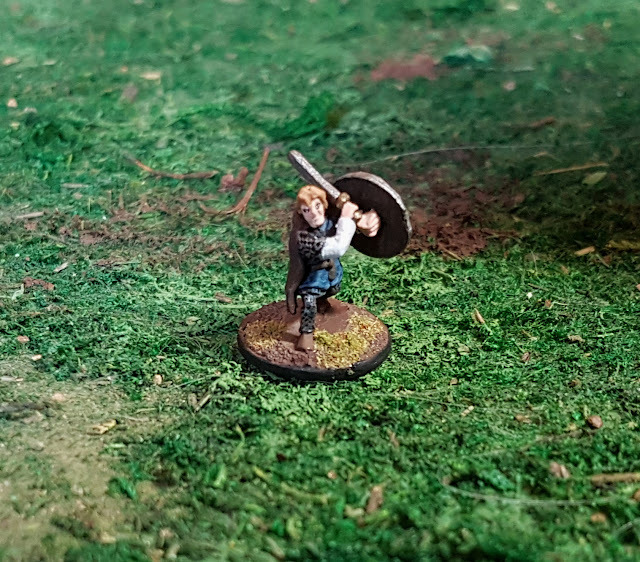 Ever since his introduction in Hymns of a Vagabond Game 2, my now 5th Level 1st Ed AD&D Fighter Akelius Flint has gone through a handful of minis. From his humble beginnings, to the inexperienced warrior on the run, Flint has seen many changes in his life as a D&D character, and now there has been one more. To begin, he shaved off his beard to make him harder to identify. Secondly, he got a farely major equipment upgrade. When he left his home village of Carthen he had Leather Armour, and a small shield. Now chain mail -though damaged- adorns his person, and a medium shield that was wielded by a close friend and ally who fell in combat protects his left side. Given Flint's impoverished state, I doubt that I will be seeing any equipment upgrades soon, so I imagine I will stick with this figure for sometime! 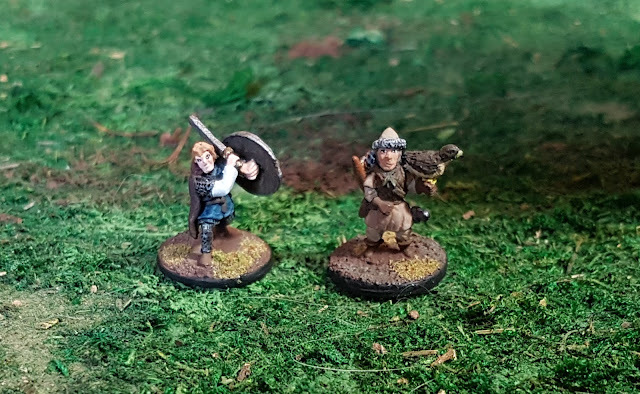 Flint's mini comes from Splintered Light Miniatures, and I think it is part of their historic line.... I don't actually recall so have a look. 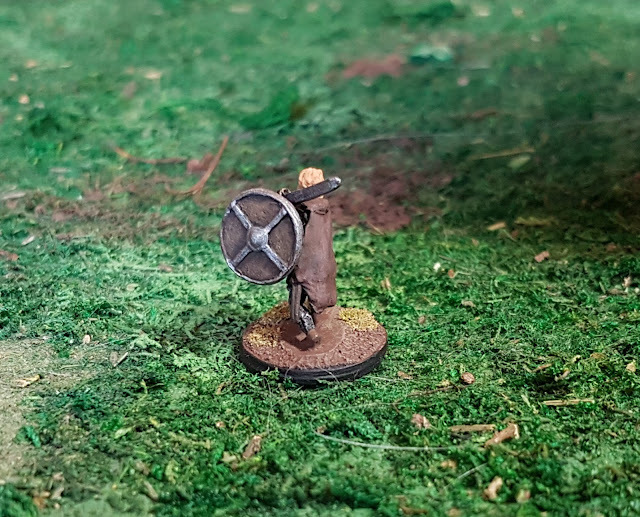 The shield is from a different historic set by the same company, and his cloak I added with Green stuff.